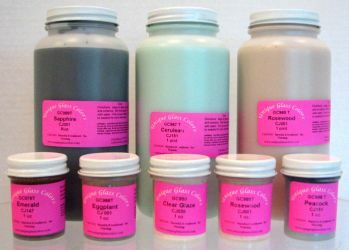 All colors are $7.95 for 1 ounce and $60.25 for 16 oz. unless otherwise noted. - 950T Clear 1 oz. - 972D Lite Red (Dry) 1 oz. - 973D Orange (Dry) 1 oz. - 975D Brite Yellow (Dry) - 1 oz.